Best example Indian Graphic Designers Creativity delivered as great Image results. Clear explanation of concept beyond sankranthi graphic symbols. 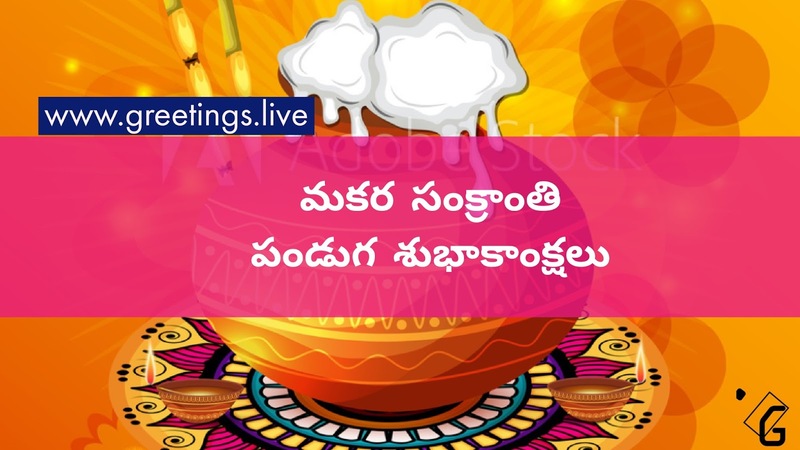 What are the best symbolic representations for Pongal or Sankranti festival ? Why those symbols are important ? How expression of happiness blended in those pixles..
Greetings.live we give clear answers with in few hours please keep an eye on this post..
Information will be updated soon.. Sorry for delay, still if you are here.. Thanks for your trust on us. 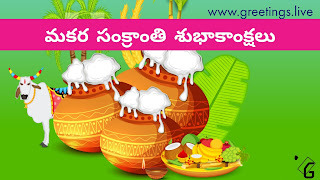 What is sankranti festival Speciality ? Makar Sankranti Celebrated as on the sun enters the sun-sign of Capricorn or Makara (the Indian rashi). So the 'Makar' within the name. The word 'Sankranti' signifies the movement of the sun from one zodiac sign to a different. Thus, the name of the festival virtually suggests that the movement of the sun into Capricorn. *Our First symbolic representation starts with sun. 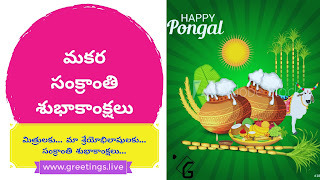 Why farmers celebrate Pongal festival ? At this time end of winter season in India. Especially in south India the harvested fresh crop will reach the home of Farmers. That's why farmers will celebrate this Festival. In olden days farmers main transportation aids are Bull cart, so Bull cart with fully over loaded crop.this is the best symbol for expressing happiness of a farmer..
That's why some of The pongal images bananas,sugar canes or rice crop or wheat crop will be shown. What's the meaning of pongal pots here ? Farmers preparate Pongal with freshly harvested Rice, cowmilk, rock sugar. In Indian culture if you make over flowing milk in a good day at the good time will may results good things in future. This process is used during new house openings. or shifting to new house newly entering to a house. Process of milk over flowing starts with boiling the milk with rock sugar. The milk is allowed to over flow .The milk overflowing signifies the overflowing of happiness, goodness like wealth, health and harmony. The process of over flowing of milk is the main theme concept behind the pongal festival.thats why over flowing milk pots shown in pongal greetings images. 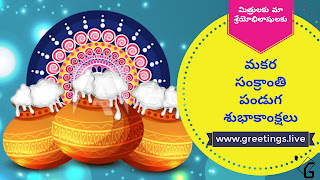 why beautifully decorated animal shown in pongal images ? This is the greatness of Indian festivals. This is the best example of indian moral way of thinking.. how indians treat animals with in their heart. 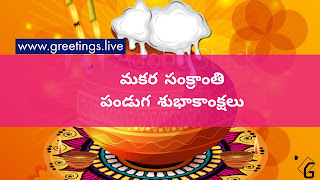 During this festival after sankranti next day is called as kanuma Festival. 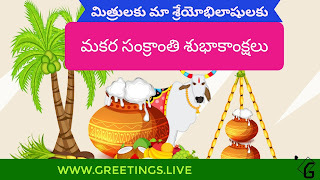 This day farmers will decorate cows and bulls which are helped from begining to end of crop harvesting process. Bulls plays major role in olden agricultural activities. To convey gratitude to those agricultural aided animals . Farmer will celebrate kanuma Festival by decorating animals and prayer them with harathi. Also cow is symbol of good ness, where there is cow there is happiness. *Decorated bull is the main symbol of pongal festival. In Telugu Language Decorated bull is called as " Gangireddu "
All above symbols together mixed with colours of Indian goodness is The perfect symbolic representation of Pongal festival. 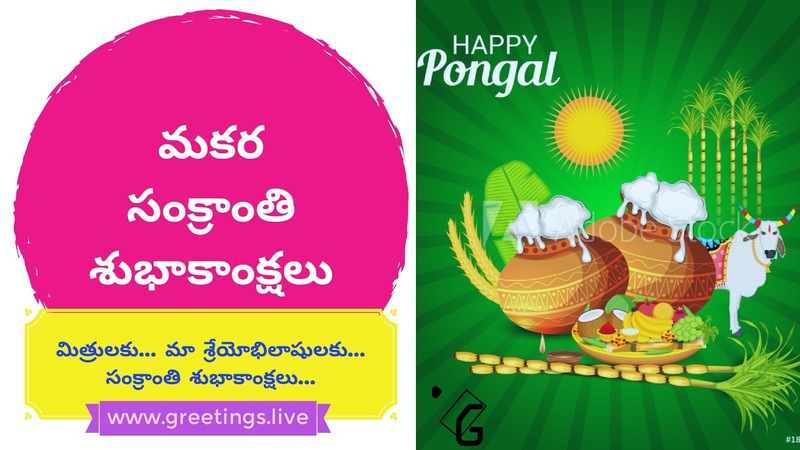 This is the greatness of Indian creative graphic representation systems..
My heart full thanks to creators of pongal greetings images.
" 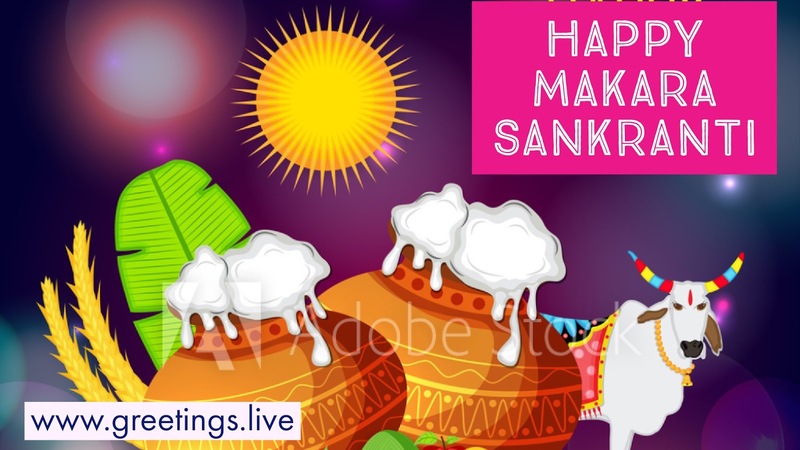 Happy Pongal Festival To All "
All images sourced from : Adobe Photo Stock images.